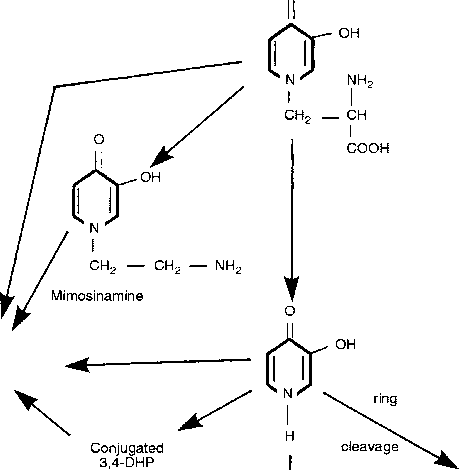 The lactating mammary gland is a major site of uptake and metabolism of amino acids and other nutrients. As pointed out in Chapter 19, the active mammary gland is a major controller of its own metabolic fate. However, metabolism in gut and hepatic tissue and the partition of amino acids in favour of muscle anabolism mean that the supply of certain amino acids to the udder may be restricted. Consequently, amino acids delivered to the udder are unlikely to reflect the pattern absorbed from the gut. For example, up to 24% of absorbed leucine may be oxidized by the gut of dairy cows, whereas the liver removes substantial quantities of absorbed histidine, methionine and phenylalanine. Evidence is now emerging for the role of peptides in interorgan exchange and delivery of amino acids to the mammary gland (Chapter 19). Lactational responses in infusion and feeding trials have been reviewed in Chapter 20. Concern has been expressed in regard to trials with rumen-protected methionine and lysine which have not significantly enhanced scientific understanding. However, postrumi-nal infusion of proteins is a technique that offers greater potential for generating data of direct relevance to ration formulation.